With impressive specs and a more than fair price, the Sole SB900 Exercise Bike has earned a lot of respect in the indoor cycle world. This regard may be well earned, but in a market where elite cycles can easily cost $2000, is it possible that a bike costing half that can actually hold its own? Usually, I’d err on the side of skepticism and say probably not, but this is Sole Fitness we’re taking about here. Let’s take a thorough look at what the SB900 has to offer and see how it measures up. I also want to help you answer the most important question you’re probably asking: “is it worth buying?”. I want to start with a quick discussion on the Sole brand because I think it’s a good idea to be familiar with the company before making any purchasing decisions. If you’re familiar with the Sole name, it’s probably from their treadmills. 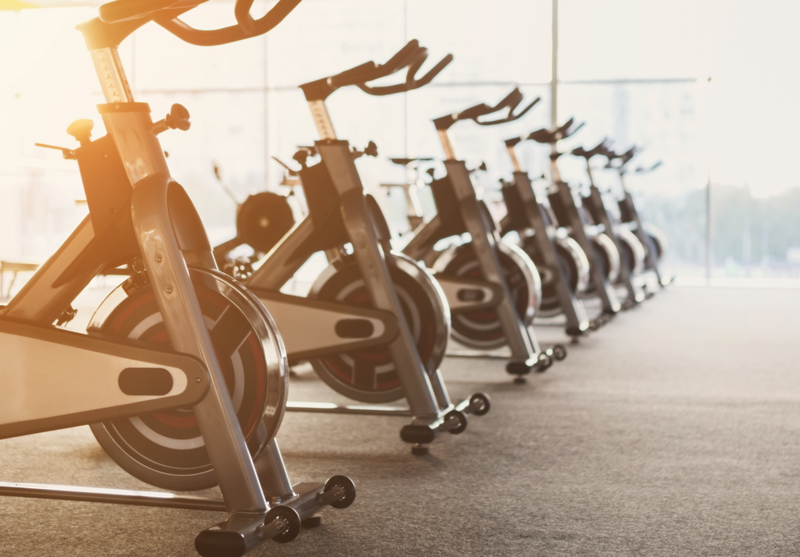 Sole is most well-known for their quality treadmills, although they do offer bikes (obviously), ellipticals, and rowing machines as well. Sole Fitness started out as a manufacturer of hotel fitness equipment. Hotel use counts as “light commercial”, which is somewhere between residential and commercial grade (the grade of equipment you’d find in a Gold’s Gym for example). I find it pretty interesting that they started out as a provider for hotels. To me, this means they started out with the mindset of developing equipment that is meant to last under the stress of multiple users. From day one, they were designing equipment that was a little higher grade than purely residential equipment. As they shifted into producing home fitness equipment, it doesn’t seem as though much has changed. As a brand, they have the reputation of making residential treadmills and bikes that are built to last. And a lot of their “residential” equipment is actually backed with light commercial grade warranties. Sole machines are almost always found on lists of the most dependable treadmills, due to the quality of their construction and length of their warranties. Sole is also known for offering great warranties, which says a lot about the trust they have in their products. Sole only offers 2 indoor cycles: the SB900 and the SB700. The SB700 is a great bike in it’s own right, but the SB900 is their highest-end model and has a few crucial upgrades. I’ll point them out as we go along for the sake of comparison. When reviewing a spin bike, I always like to start at the flywheel. Most people consider this the heart of the bike and probably the most important feature. In case you’re new to indoor cycling, the flywheel is the part of the bike that spins as you pedal. Flywheel weight is a much debated topic, but the majority of folks probably still believe that heavier flywheels are preferred to lighter ones (although the good folks behind the Keiser M3i would disagree). The general idea being that the extra weight gives you a smoother pedal motion and ride as the momentum builds up. If you buy into the “heavier is better” school of thought, you will appreciate the fact that the SB900 comes with a 48 lb chrome plated flywheel. At 48 lb, this bike has one of the heaviest flywheels you’re going to find. Most bikes in this price range are packing flywheels in the 30-40 lb range, which is pretty good honestly. Combine this massively heavy flywheel with a magnetic resistance system and you have the makings for a remarkably smooth ride. Users all agree that the operation of the bike is nearly flawless. The ride is smooth and quiet. Several users report they can easily watch tv while riding. The lack of noise is due to the magnetic resistance system and belt drive train. A belt creates less noise than your typical chain drive because you don’t have to hear the little clanking noise the gear teeth create when they grip the chain. Magnetic resistance systems are superior to friction resistance systems (which the SB700 uses) because they are quieter and require less maintenance. I want to point out there several users had issues with the resistance system not working correctly- more specifically, turning the resistance knob didn’t adjust the resistance. Sometimes during shipping, the wire connecting from the knob to the magnets becomes loose or disconnected. Reconnecting this wire easily fixed this problem. The seat on the SB900 is fully adjustable, meaning it can be adjusted vertically and horizontally (fore/aft). Having the fore/aft adjustment is crucial for finding the most comfortable fit. Speaking of comfort, everyone should know that indoor cycle seats (just like road bike seats) are usually uncomfortable for beginners. You usually get used to it with time, but if you aren’t an avid cyclist you’ll probably find the seat a little less than comfortable. This is true for all spin bikes- it’s just the way they’re designed: narrow to mimic the feel of riding a road bike. If you want to upgrade to a more comfortable seat, or if you already own a road bike seat you prefer, you can easily switch out the seat on the SB900. The handlebars on this bike aren’t anything particularly fancy. They are multi-grip, so they do offer the standard, narrow, and wide grips used for different riding positions. The most notable feature here is that the handlebars are also fully adjustable, giving you the ability to adjust them horizontally as well as vertically (something the expensive Peloton actually doesn’t even offer). There’s also 2 water bottle holders attached to the handles, that’s a nice touch. Makes it convenient to reach as you ride. The SB900 is constructed with a heavy-duty steel and aluminum frame. Considering it’s designed for light commercial use, Sole had to built this bike with a robust frame to withstand the stress of accommodating users of all sizes. Speaking of which, this bike has a max weight capacity of 300 lbs. This is pretty standard for indoor cycles, especially ones in this price range. That said, as heavy-duty and robust as this bike is, it’s a little surprising it can’t handle a little more weight than that. Fully assembled this bike takes up the following dimensions: 40″ (L) x 21″ (W) x 42″ (H). I want to point out that this bike is really heavy once it’s fully assembled- it weighs about 160 lb. This is good from a stability point of view, but moving it can be difficult (even with the built-in transport wheels). You might want to make sure you have it placed in it’s permanent home before putting it together. Speaking of assembly, the SB900 is easy to build. The instructions are straightforward and all the necessary tools are included. You’re really just attaching the stabilizers, the pedals, the seat, and the console. Most folks can have it out of the box and ready to roll within about half an hour. When discussing spin bike pedals, it’s good to know whether it has cages or a clip in system. Cages are found on most budget and mid-ranged bikes and can be used with any type of shoe or sneaker. Clip in systems require cleats that are compatible with that brand (SPD for example). This bike conveniently offers both systems. You can ride with sneakers and the cages if you don’t have cleats. Or if you do have them (or are willing to purchase them) you can take advantage of the SPD clipless pedals. This is another area the SB900 has the SB700 beat. The SB700 isn’t compatible with cleats, it only offers the cage option. Indoor cycles aren’t known for their sophisticated monitors (well, unless you’re Peloton). Most are simple and pretty bare-bone, lacking the advanced features and preprogrammed workouts. Unfortunately, the monitor on the SB900 isn’t any different. It’s small, simple, and far from sophisticated. It displays the usual metrics you’d expect: time, distance, calories, speed, and RPM. It will also display your heart rate if you are using a chest strap monitor (one not included). Although the monitor is very basic, it’s nice that one is included. Many more expensive indoor cycles don’t come with any monitor. This is an amazing warranty regardless of price ranges. It’s rare to see a lifetime frame warranty on an indoor cycle and 3 years on parts is better than most in this price range. For comparison’s sake: the Schwinn AC Performance Plus is considered one of the best indoor cycles around and has one of the best warranties- and guess what, the warranty offered on the SB900 blows it away! (Schwinn only offers 10 years on their frame and 2 years on parts). The SB900 is Sole’s highest-end spin bike and has quietly earned a reputation for being one of the best indoor cycles in its class. With a 48 lb flywheel, magnetic resistance system, belt drive train, and fully adjustable seat/handlebars, it’s easy to see why this bike has become so popular. Add in the fact that Sole backs it with an incredible warranty and you’ve got a real home run here. With specs that can easily compete with the highest-end cycles on the market (and an asking price that’s $1000 less), the Sole SB900 is worth every penny. It also earned its way onto my list of best spin bikes for the year. If you’re looking for an elite indoor cycle that is more budget friendly than most, this is a very smart buy.